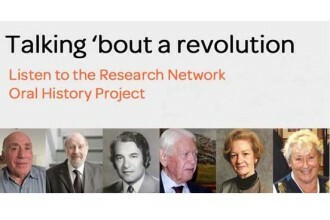 Founded in 2002, the Research Network is an association of market and social researchers who have spent all or most of their working lives in these or related activities. Most of our 200+ members have been associated with research for a good 25 years and one or two for over 60 years. Many are working full- or part-time in agencies, in corporate or academic roles, or as consultants, whilst others are now retired. 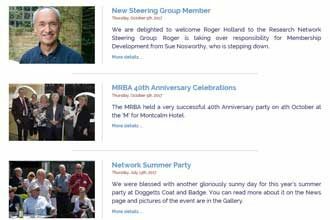 The Network enables members to keep in regular contact with friends and colleagues in the industry via a range of social activities, a regular Newsletter and online initiatives. In addition to our social role, we also aim to ensure that the voice of experienced researchers is heard whenever market or social research issues are discussed. We have close links with the Market Research Society (MRS) but current or former MRS membership is not a condition of membership of the Research Network. 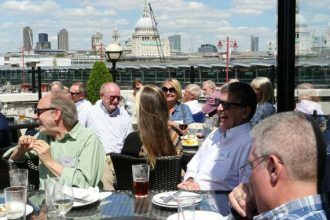 We organise quarterly lunches and other social networking events in London, to enable members to get together with friends and colleagues on a regular basis. 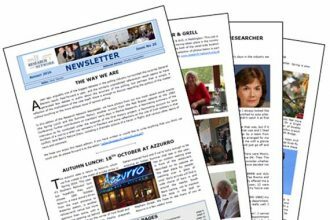 We publish a twice-yearly Newsletter with details of forthcoming events, a selection of photos of recent events and articles by and/or about Network members. Our website provides members with up-to-date news of members, information about Network events and news of important developments in research. We also have a Facebook group where members of the Network can keep in contact and exchange views. Since 2011 we have been compiling an Oral History record of the market research industry, through a series of illuminating interviews with some of its most influential practitioners.